With #1 Duke’s home loss to Syracuse Monday night — and more significantly the injury and extended absence of Tre Jones — some of the luster of this weekend’s highly-anticipated match-up with conference-leading Virginia has eroded. Or perhaps Tony Bennett’s squad just appears like it will inevitably run roughshod through the ACC for the second consecutive campaign. 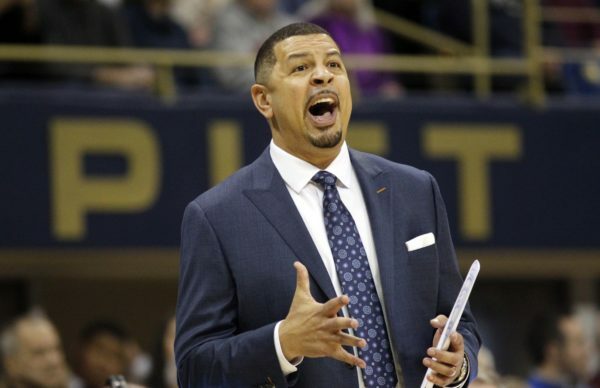 Jeff Capel: While he wasn’t Pittsburgh’s first choice, Capel has left little doubt that he was the right choice to clean up the mess of the two-year failed marriage with Kevin Stallings. Capel entered the program last spring having to do yeoman’s work just to construct a playable roster. But now, after Monday night’s victory over Florida State, the feisty Panthers have already vanquished two NCAA Tournament likelies (Louisville), and in doing so, have brought back some of the energy that used to be synonymous with the Peterson Events Center. Behind the precocious freshman trio of Xavier Johnson, Trey McGowens and Au’Diese Toney, Capel’s crew has already exceeded last season’s win total by four, and in so doings has risen from 138th in KenPom to start the season to a current standing of 68th. Pitt’s upcoming schedule is arduous, however, as three of the Panthers’ next four games are away from home (and the home game vs. Duke), but it is undeniable that a basketball trajectory is veering upward again in the Steel City. Syracuse: The bipolarity of the Orange is akin to a trendless stock that zigs and zags all over the place with no discernible direction. Case in point: After shooting 31.6 percent and turning the ball over 19 times in an embarrassing home loss to Georgia Tech on Saturday, the Orange responded by defeating the top-ranked team in the country in Cameron Indoor Stadium. Sure, Cam Reddish was unavailable because of an illness, and Tre Jones was lost six minutes into the game, but it’s not fair to ignore the mettle and grit that Syracuse showed. 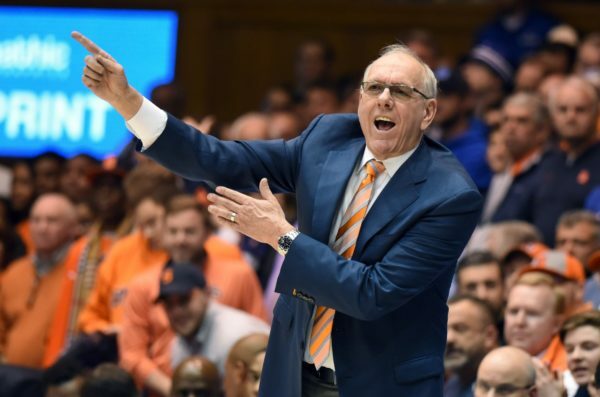 Winning at Duke is never easy, and this win will assuredly have staying power when Syracuse is (once again) on the bubble for an at-large tournament bid. And while Tyus Battle led the way with 32 points and Elijah Huges stole the highlight with a 75-foot first half buzzer-beater, Pascal Chukwu was perhaps the difference in the game. The senior center scored 10 points and grabbed a career-high 18 rebounds, including nine on the offensive glass in a season-high 32 minutes. Clemson: After a breakthrough season last year, the Tigers appeared to be returning enough talent to reasonably expect that a return trip to the Sweet Sixteen was plausible. Instead, Clemson enters this evening’s home tilt with Georgia Tech joined only by Boston College in the ranks of the ACC winless. To be fair, the scheduling gods did Brad Brownell no favors — but for a team that began the year ranked 14th in KenPom to now be 10-6 overall and 47th — there is a steep hill to climb back into the at-large conversation. Clemson needs to take better care of the ball, as their 20.5 percent turnover rate ranks 269th nationally and is up three percentage points from a season ago; the Tigers also need to start shooting from deep a lot better, as their 30.6 percent marksmanship from three ranks a paltry 298th in the country. This entry was posted on Wednesday, January 16th, 2019 at 5:41 pm by Matt Auerbach	and is filed under acc, microsites. Tagged: audiese toney, brad brownell, elijah hughes, jeff capel, pascal chukwu, tre jones, trey mcgowens, Tyus Battle, Xavier Johnson. You can follow any responses to this entry through the RSS 2.0 feed. You can leave a response, or trackback from your own site.